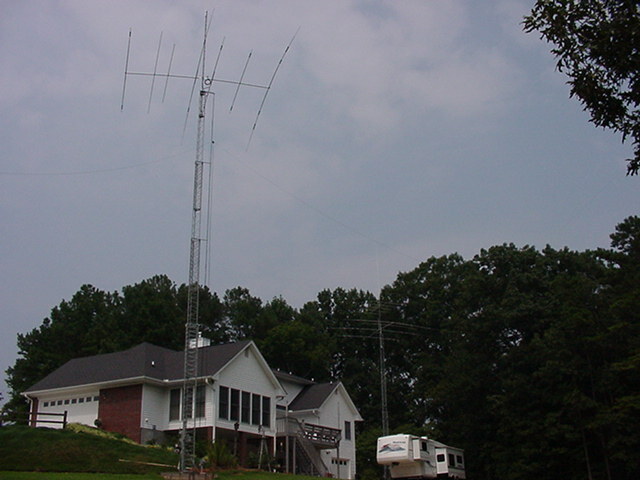 Tower # 1 is a 55' US Tower TX-455 crank-up, tilt over tower with a Cushcraft A4S, 20, 15 & 10 Meters with 40 Meter Kit. 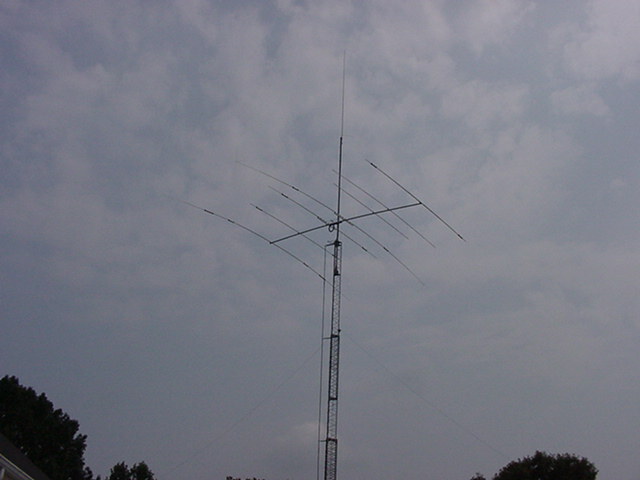 Cushcraft A50-5S, 5 Element 6 Meter Beam. 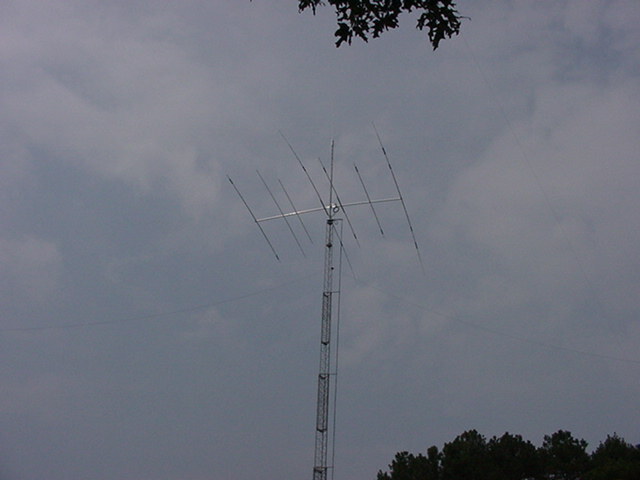 Diamond X500, 2 Meter & 440 Dual Band Vertical. 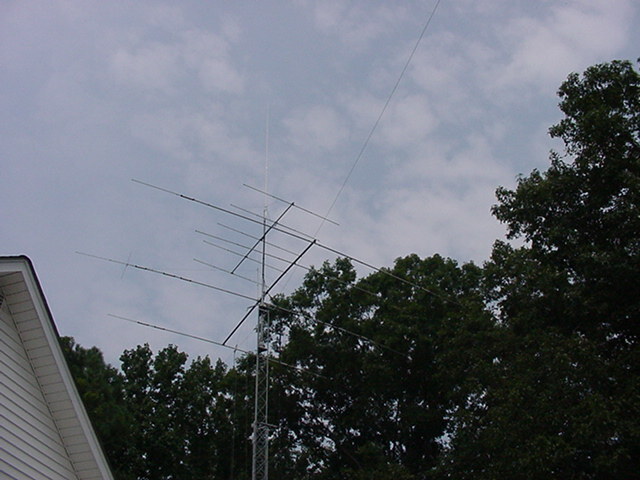 A 75 Meter Dipole is also attached. Antennas are fed with coax to an Ameritron RCS-8V remote antenna switch. These antennas and tower were erected in 1992. 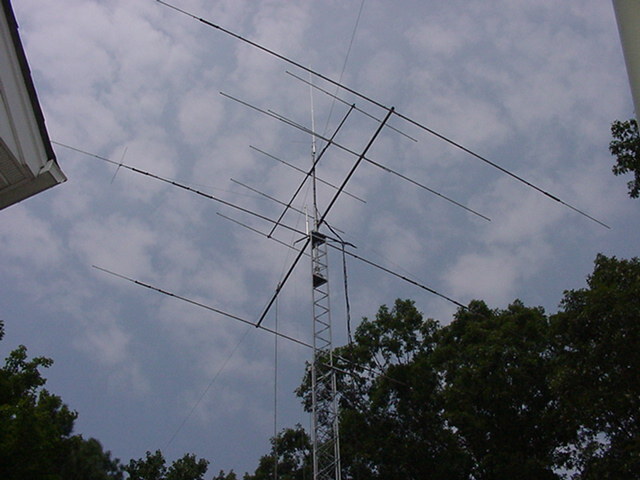 Tower # 2 is a 72' US Tower TX-472 MDP motorized, tilt over tower with a Mosley Pro 67-B 7 Element HF Beam with 40, 20, 17, 15, 12 & 10 Meters. 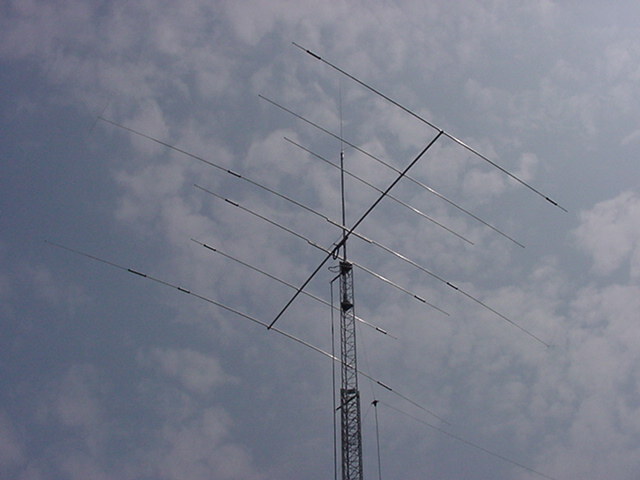 Diamond X500, 2 Meter & 440 Dual Band Vertical. There is also a 75 Meter Inverted "V" attached. 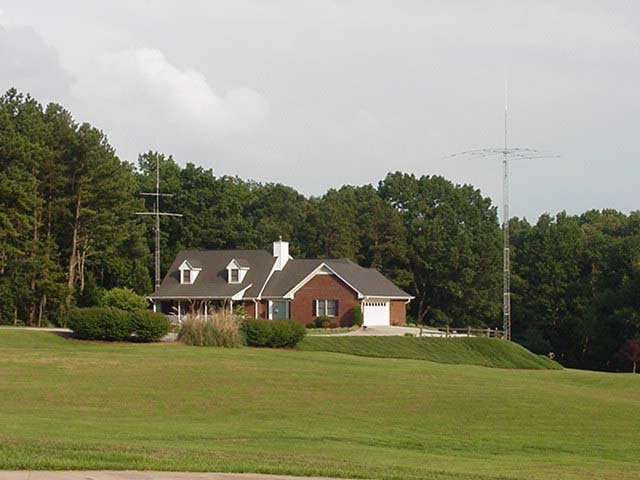 Antennas from this tower are fed with coax through underground conduit to the shack and are connected to an Ameritron RCS-8V remote antenna switch. These antennas and tower were erected in 2001. This tower project was began in late March 2001 and the antenna work was completed on June 27th. Click on the icon below to go to the tower project photos.